My friend and fellow blogger Polly, who writes the witty blog Polly Vous Francais(LOVE that title), sent me this funny photo. She was kind enough to let me use it. 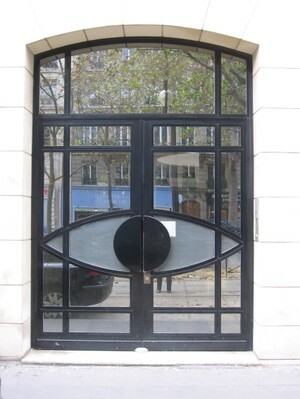 The location of this set of doors is on ave de Tourville near Ecole Militaire in the 7th arr. Thanks, Polly!